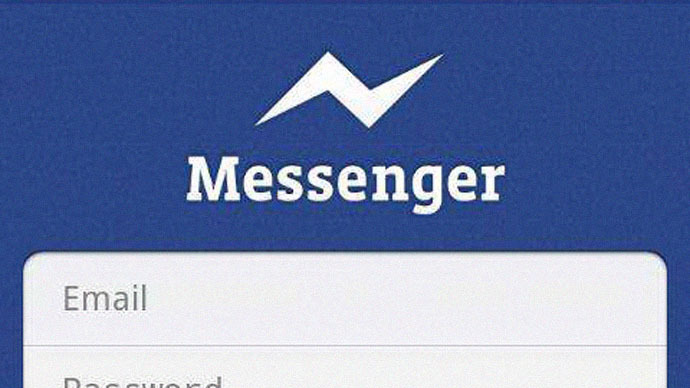 If you value privacy, you may want to think twice before using Facebook Messenger. A new extension for Chrome has revealed just how much location data is shared through the app – and it's enough to track someone down with almost perfect accuracy. The extension - called the 'Marauder's Map,' after the magical map in Harry Potter – pinpoints the locations of a person's Facebook friends. It allows a person to track their movements, learning about their routines and weekly schedules. Though some may view the information as useful, others think it is downright creepy, as it hands over a person's movements on a silver platter to any potential stalkers. But the tool's creator, Harvard computer science and mathematics student Aran Khanna, isn't aiming to add to the internet's creep factor. Instead, he wants to raise awareness about just how much information gets shared on Facebook. "I decided to write this extension, because we are constantly being told how we are losing privacy with the increasing digitization of our lives, however the consequences never seem tangible," he wrote in a Medium post. He added the extension allows Facebook users to see the “potentially invasive usage” of the information they share, and decide for themselves if it's something they should worry about. Khanna developed the extension after noticing that Facebook Messenger locations had more than five decimal points of precision – meaning the sender's location was pinpointed within three feet (one meter) of accuracy. By testing his map on a group of Facebook friends who posted on chat at least once a day, Khanna realized he could see where one of them lived – even down to the exact location of his dorm room. After chatting frequently to one friend, he discovered he could track the friend's hourly movements. The person's location history was mapped out at the end of the day. Khanna then examined two weeks of chat data, managing to work out a student's weekly schedule – even though that person was on the other side of the country at Stanford University. He was able to predict when the person would arrive and leave certain buildings on campus. Taking it up another notch, Khanna realized he could do the same thing for those who weren't his friends on Facebook. For example, he could track the locations of people taking part in a large group message, which was created to organize poker games. Khanna stressed how easy it is for people to forget about the information that automatically gets shared on Facebook Messenger. “The main problem is that every time you open your phone and send a single message it’s so easy to forget about your location data being attached to it. Furthermore, it seems so harmless to attach a location with a single message, but the problem is, over time the information from these messages adds up,” he said. Facebook's default setting is to include location information with all messages. Location data can be turned off, but it's an opt-out that never occurs to many people. “Everyone I have shown this extension to has been anywhere from surprised to appalled that this much of their very personal data is online for their friends (and even complete strangers) to access. So it is seems that there is an issue,” Khanna said.